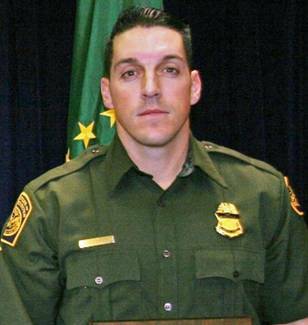 A Mexican man who says he killed U.S. Border Patrol Agent Brian Terry fabricated his claim to gain attention, the Federal Bureau of Investigation (FBI) said Friday. The FBI said in a statement that agents interviewed Gustavo Cruz-Lozano in San Antonio on Thursday after he claimed to have killed Terry during an interview with Univision News. “During the course of the interview, Cruz-Lozano admitted to the agents that he lied about his involvement in the death of U.S. Border Patrol Agent Brian Terry in order to garner attention,” Special Agent in Charge James L. Turgal, Jr. said in the statement. Posted: 1/21/13 at 9:00 AM under FBI, News Story.